This is an amazing book! I decided to read it as an antidote to My Promised Land and it certainly was that! Ilan Pappe is one of the “New Historians” of Israel and not terribly popular in Zionist circles, but his books sell well, at least in the US and in the UK where he resides. Reading it was a fabulous refresher course (if rather grim) in the making of history as regards Israel, but for folks with some background in historiography the general points and themes are a sort of affirmation, if not a surprise, and applicable in many historical situations – the US, Soviet Russia, South Africa? Until 1980 or so, it seems there was a kind of censorship by consensus about the way historians and others – the disseminators of culture – were to stick to the “official” Zionist version of events until 1980 when a small group of historians and academics wanted to look a bit closer at some aspects of Israeli history as found in the documentary evidence of the newly opened archives. The ideas of these “New Historians” were tolerated, according to Pappe, until around the year 2000 when idealogical conformance once again raised its ugly little head. Pappe relocated to England in 2007. 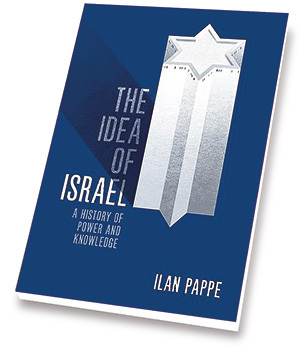 So the first few chapters of Pappe’s book are basically the old traditional Zionist school of Israeli history and how it was developed up to 1980 or so. There is an obvious bias but that’s just the way it is – I think unbiased may be impossible in this area of study – Pappé doesn’t hide it and besides, this book is part memoir. Pappe lived through and worked in these times and with these people – he has definite opinions. This book examines that journey. It charts the departure from the Zionist comfort zone, the arrival at the destination, and the frequent return trip to the comfort zone. Pappe’s conclusions, or so it seems to me, are that Israel has used a pretty standard “nation/building” type of history with a lot of exaggeration, erasing, and glorifying along the way and including some providentialism and a big chunk of villainization. This is essentially what Pappe says the Israelis have deliberately done with their history making – and this is what is currently written in the textbooks and shown in documentary films for use in schools at all levels, public relations, literature, politics, even handed to tourists. The attitudes show up also in fiction, journalism, movies, music – everywhere almost. Pappe just points out where the “idea of Israel” came from. The US has certainly been through the “nation-building” era of historiography – once after the American Revolution and again after the Civil War – especially dealing with Manifest Destiny. And the Soviet Union certainly experienced the process for several generations after 1917. Israel’s history has its own specific peculiarities, to be sure, but the thrust of justifying and bolstering the validity of their existence and behavior through ideology-based research, writing and the arts is not unique – only perhaps more sophisticated and more callused. Another difference between Israeli historiography and early US historiography is the use of film – documentaries especially – and Pappe explores that medium in fair depth. Part 1 of the book deals with the traditional Zionist/Israeli histories and how they presented the material. In this section Pappe refers to classic US cowboy movies in which the Indian is portrayed as a faceless, anonymous savage to be removed. (I have no idea which movie this might be, but it certainly puts that idea in the mind of the reader – this is the way Israeli historians and film-makers have treated the Arabs. He also explores and explodes many Israeli myths and their presentations, David and Goliath, doomsday/annihilation, others. Part 2 consists of Pappe exploring the changes brought to these official histories and films by those he refers to as Post-Zionists. He really admires these brave non-conformists, these disenchanted Zionists, these seekers of truth and their group, Matzpen, the oldest Jewish anti-Zionist group in Israel. Pappe also examines the historians who defend Zionism against these critics, the ones who reject the idea that a colonial impulse was involved as an organizing principle. What do I think? I think of course Israel’s historians et al are doing this and have been doing this and will do it until they either feel more secure in their existence or disappear. But we need authors such as Pappe to remind us that it’s going on. And, if we want to be informed in a more balanced way, we need to get the basic, undisputed, chronological facts in order and then read memoirs, opinions, oral histories, etc. from various points of view in order to have a basic understanding – even then it’s not a final conclusion. But what Pappe has done is to show where this Zionist history came from and how it continues as a justification for the state of Israel. He includes its perceived promise, the successes and failures, the high as well as low morality. Going on, Pappé almost memorializes those who have argued against the traditional consensus – he basically heroizes these nay-sayers. I don’t in any way criticize him for this, they were/are his comrades in thought. One problem the Israelis who think about this face, is that today’s perception of the past indicates the solutions of the present. Pappé addresses many facets of the various positions taken by members of the New Historians. If Israel is a colonial-based power, what does that do to the predicament of the Palestinians whose refugee status has yet to be recognized? Overall, there has been and is today, a selective construction of Israel’s past in order to accommodate Israel’s present – this includes using the blind colonialist tradition, the needs of the Holocaust victim, the vengeance of the Arabs – the list is endless. And then, covering the Neo-Zionists, those looking to the archives will produce their version of Israeli history. This is a powerfully written unsettling work that relates the story of Israel from the perspective of how ideas are changed and manipulated for the benefit of the state. Unfortunately the majority of citizens of most countries are susceptible to the ideation/ideology of the mainstream of political thought as it is supported by the mainstream press. In the case of Israel, image and ideation, its narrative and ideology, are of paramount importance for the survival of the state beyond its military strength and relatively successful integration into the globalized corporate governed world.